unfailing message of salvation that gives eternal life. Amen. manuscripts do not include new. him, they didn’t believe her. to tell the others, but no one believed them. world and preach the Good News to everyone. 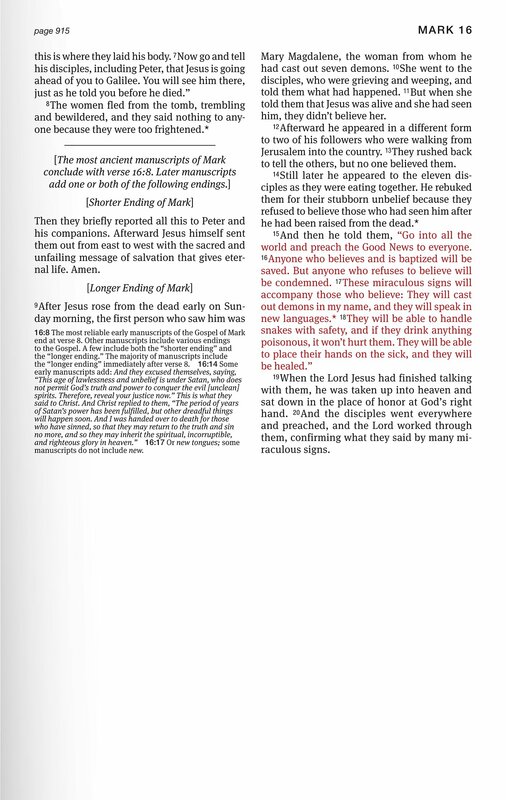 them, confirming what they said by many miraculous signs.